SNG's analysis featured in ISE Magazine | Strategic Networks Group, Inc. In the February 2019 edition of ISE Magazine, Michael Curri discusses the question: Does an investment in a locally owned fiber network pay off for our locality? Using SNG’s analysis and experience with broadband initiatives across North America, Michael Curri examines the options and strategies localities can take to self-finance broadband and digital infrastructure. 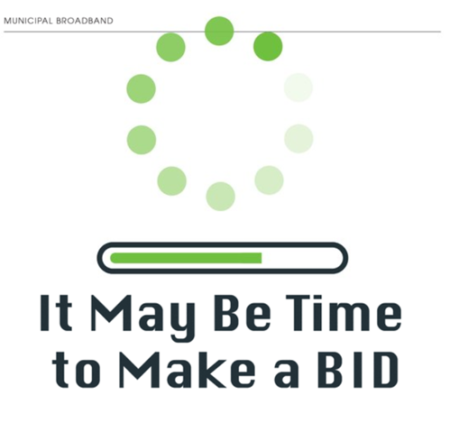 This is particularly important to address when managing telecom and internet costs for increasingly connected municipal and county operations, as well as smart community services. Furthermore, what options are there for localities when they have areas that are unserved or underserved? There two stages to a building digital infrastructure for a locality. The first stage is a core network for the municipality, county, etc. for their future telecommunications and internet needs. The second stage is Broadband Improvement Districts (BIDs) where property owners pay for their access to the network. residential subscribers since 2018 pay $59 per month for Gigabit internet service. For communities and regions that know they need broadband, understanding where and how to start is critical. SNG’s research shows that the drivers of this process are economic and community benefits. By assessing community benefits up-front you can build buy-in and develop a digital infrastructure strategy that is based on your needs and your circumstances.